Isa Gucciardi holds degrees and certificates in transpersonal psychology, cultural and linguistic anthropology, comparative religion, hypnotherapy, and transformational healing. 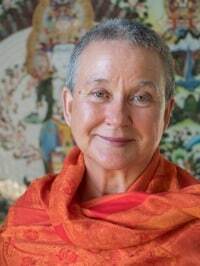 She has been a dedicated Buddhist practitioner for forty years and has spent over thirty years studying spiritual, therapeutic, and meditative techniques from around the world. Isa has worked with master teachers of Buddhism, Christianity, Judaism and Sufism, as well as expert shamanic practitioners from a variety of traditions. Isa is the creator of Depth Hypnosis, a groundbreaking therapeutic model that has won rave reviews from psychotherapeutic and spiritual counselors alike. Isa teaches and speaks nationally and internationally, and has published numerous articles, podcast episodes, videos, and the books Coming to Peace and Return to the Great Mother. She maintains a private practice with institutions and individuals in Depth Hypnosis and Coming to Peace processes. Isa speaks five languages and has lived in eleven countries. She is the mother of two children and lives with her partner in San Francisco.